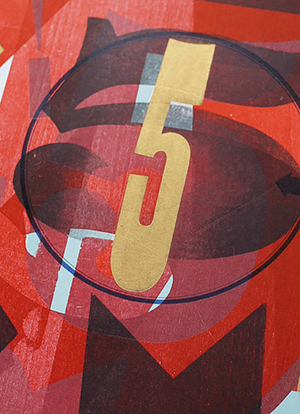 This is Richard Kegler's letterpress print homage to Charles Demuth and William Carlos Williams. 5 colors with bronzing powder. 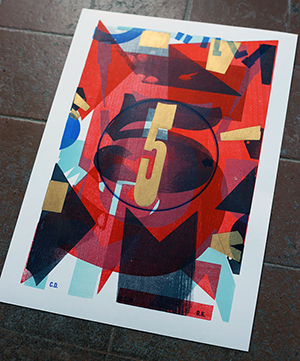 Edition of 25. signed and numbered. • 14" x 19 1/2"
This print was featured in the Hamilton Wood Type & Printing Museum's New Impressions Exhibit and at Hatch Show Print: Pressing On: A Celebratory Exhibition.